I have had many questions about the sweeteners I use and those I refuse to use so I have FINALLY (sorry its taken so long!) written a post for all those who have been patiently waiting to hear my thoughts on all the health “stuff” out there. Hope you can glean something from the choices I have made in my life to benefit your own! For those of us who have struggled with our weight on and off for most of our lives we know all to well that losing weight is never easy and always requires work. Choosing the right program that you know will help you stick with it in the long haul can be a confusing one to say the least. One thing I’ve learned along the way is that fad diets never work and never, ever help in keeping the weight off for good. In my own personal battles with losing weight, I used many different programs along the way. But honestly in my own humble opinion, all programs can and do work, it just depends on if you are ready and willing to do what it takes or not. The basic theme is always the same no matter what program you choose. In order to lose weight you must eat less and expend more calories than you are currently taking in or you would have already lost the weight you wanted to lose by now. We can choose on a daily basis certain types of foods and ingredients that either help promote our overall goals or detract from them. My experience has shown me eating foods with refined sugar and flours, as well as artificial sweeteners, have greatly contributed to binges, overeating, acne, PMS and other menstrual issues, ravenous hunger and cravings, sluggishness, and sleep problems. I share my top 3 best sweeteners with you so that you can make informed decisions about what products you decide will either help or hinder your weight loss efforts. Some that are fairly new on the market I prefer to use the” wait and see” approach with. I am currently avoiding coconut palm sugar as I haven’t read enough articles to support it as a healthy alternative personally for myself. Here’s one article if you are interested in reading more about it. 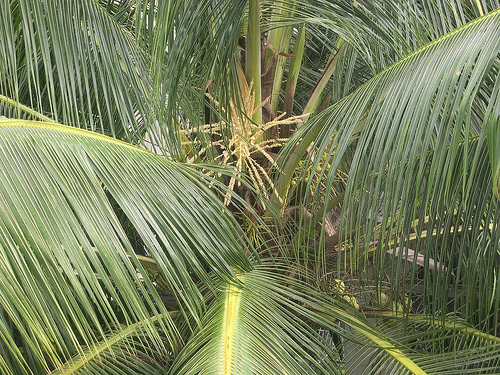 Is Coconut Palm Sugar A Healthy Sugar Substitute? There’s quite a bit of controversy over using agave and whether or not it is a healthy refined sugar free substitute. I’ve read enough articles at this point to decide that it isn’t any better than using white table sugar because it is highly processed. If you are interested in reading more about it, check out, “Agave: A Triumph Over Marketing Truth” , “Is Agave Nectar A healthy Sweetener?” and “Shocking! This ‘Tequila’ Sweetener is Far Worse than High Fructose Corn Syrup”. Sap is removed from the plant itself and chemically processed at high temperatures to produce the syrup. Depending on how much heat is used, the syrup may be made up of 55-90% fructose. What’s fructose? Essentially high fructose corn syrup! That’s what anyone who is trying to lose weight should avoid at all costs! The higher the percentage of fructose the higher your blood sugar will spike just as it would consuming white table sugar. 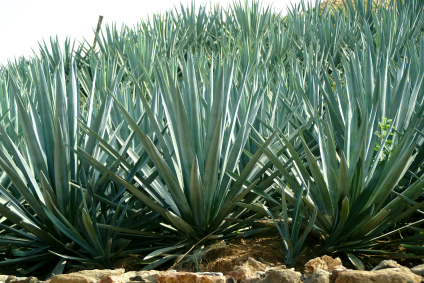 The FDA has stopped shipments of agave due to excessive pesticide residue. Some of you have asked about brown sugar and why I don’t use it as well. It is completely refined white table sugar crystals that have been added with molasses to produce the brown color. So to me it is not any better for you than white sugar. If you are interested in why Splenda and other artificial sweeteners are not listed, you can read about it in my post, “ 3 Splenda Myths Busted” to learn more. This list is my choice of sweeteners that works for myself and my family. I am able to cook, bake and enjoy foods made with any of these sweeteners without problems. No longer having issues with cravings, ravenous hunger and other symptoms I felt were directly related to using white table sugar and flour. Except for the first sweetener listed, the other refined sugar-free sweeteners are still a form of sugar and I choose to eat foods with these ingredients in moderation. But the one exception to everything in moderation is consuming refined sugar and flour products. They just don’t offer me anything positive in return so I choose to abstain and my life is better for it. I choose to cook and bake with these top 3 sweeteners above. The following sweeteners are ones I would ingest if found within processed and packaged foods but I do so very rarely. I have not cooked or baked with these sweeteners below although I am not opposed to doing so. I just really love using the top 3 I have already shared. date sugar, brown rice syrup, black strap molasses, barley malt and fruitsource- a natural sweetener made from kiwi fruit. 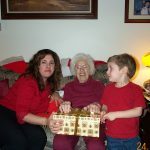 Hopefully this post will encourage you to try the sugar-free lifestyle gradually eliminating refined sugar from your life. Everyone is different and some products will not effect you as they do other people. Choosing to abstain from certain sugars has greatly helped me achieve a freedom in my life I never thought was possible before. No foods or sugars and products will ever hold me captive without the ability to say NO to them and YOU can do it too! Have you tried to become sugar-free? Are you unable to say no to refined sugar products? What products and ingredients effect you negatively? Are you successfully leading a sugar-free lifestyle? Please share your thoughts and comments! This is exactly what I needed! I have used Splenda for the last two years and I feel that, although it helps me maintain weight loss, that is is partially responsible for sluggishness and possibly some other issues. You can’t be really healthy and use chemicals! And HEALTHY is my goal. Thin is a just an added benefit. Thanks for this extremely informative article! 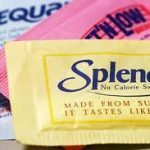 I had major issues using Splenda and other artificial sweeteners and I have a post I wrote to tell you more about it, 3 Splenda Myths Busted. Healthy and fit is the goal, thank you for sharing! This is exactly where I’m at right now! I know certain things second hand from others but have not done personal research on each of these, except honey. I am curious though on your wording for Sucanut. I am not sure it can be called a “sugar free” sweetener as the name itself is derived from SUgar CAne NATural. I understood that it was sugar cane in its natural form. But, like I said, haven’t researched it myself. I do use it though, and like it so far. It is just typically my last resort after the other two. Any details from your reading are helpful! Thank you – so glad to find your blog! Sucanat is not a sugar -free sweetener as stevia is, but is IS a REFINED sugar free alternative to white sugar and I use it sparingly. Excellent and informative post! Thanks for providing such great information about sweeteners! Thanks for the tips on sweeteners! I have some baby weight to lose, but I’ve always had a sweet tooth. Hoping this helps. I use organic sugar. I’m wondering if there’s a difference between that and the sucanat. Also, how does stevia effect texture? For instance, I love Nestle Toll House chocolate chip cookies. Would stevia work as a substitute for sugar? Thanks! Stevia is my replacement for sugar yes and I don’t think it effects texture when baking. I use either liquid or sometimes powdered. I am not sure that organic sugar comes from anything other than white table sugar. Can you check back with me and tell me what the ingredient list says? I’m so glad I found you today! 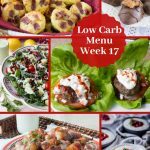 I gave up white sugar and flour on Sept 11th, and lost 18 lbs by Thanksgiving. Then the neighbor Christmas treats started rolling in, I caved and I’m finding myself craving again. Thanks for listing all these sweeteners, there are so many different names it gets confusing. I’ve used tons of agave, and still lost weight. I’ll read those articles about it. I have a question about Stevia, I bought some powdered “Stevia In the Raw” at walmart, the ingredients are Maltodextrin and Stevia. I used it to make muffins and they tasted really off to me. Is the liquid stevia any better? Is there a better powdered? Thankyou! I don’t like to use any brands that include other ingredients like maltodextrin. The liquid form doesn’t seem to have any after taste to me and I prefer it. I have also used the brand sweetleaf stevia in packets and also no after taste. Hope that helps! Hello Brenda! Thanks for this article about sweeteners. I would love to switch to non sugar sweeteners and I appreciate this information a lot! One question- Would you please share where you buy your stevia? I would really like to buy a brand with no other ingredients. Thanks! The brand name I prefer using Sweetleaf Stevia. I like both liquid and packets. I use the packets when needing more than just a teaspoon. You can order through iherb.com and if you use my code YAJ035 you will recieve $5 off your first order. Just found your blog and am looking forward to reading lots of your goodies. Am wondering, if you have tried Whey Low sugar substitutes? Their website is wheylow.com. Some Whole Earths carry their product. I have been using it for about three years. Thank you for any input you may have. I have not tried it but will look into the website, thanks! Is this sweetleaf stevia? What should I look for to discern what to look for in a ‘stevia product’? Trying to find a New Zealand version….. I am so happy that I stumbled upon your blog. Thank you for providing this life changing information. It is staggering how misled we as the general public are about the products that we consume. Quick question. 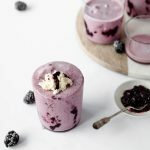 Is Truvia a suitable form of stevia? I ask this as it is more readily available in the stores than Sweetleaf. Thank you again! Truvia is not my favorite because I think it has quite an aftertaste. There is an additive in the brand truvia called rebiania that is artificial and is probably the cause of the aftertaste. I don’t use it. Some readers have said they don’t mind the taste of it. Do you know anything about NuNaturals Stevia? Someone told me that it doesn’t have an after taste as well…. I use NuNaturals powdered stevia and I find it has no aftertaste. I’ve tried the liquid SweatLeaf stevia and I always find there is an aftertaste! I think that you just have to find what works for you and your palate! Thanks for all the great info! We use only natural sweeteners and avoid spiking our insulin, hopefully on a daily basis! We have stumbled across a new product (new to us, anyway!) called Weigh-Low. Have you heard of or do you use it? We found it at Whole Foods Market, but it’s available at Amazon.com as well. I’d like to hear your opinion/thoughts on this product. Thanks in advance!! I haven’t heard of this product but will investigate it. Thanks! From what I have read about it, it contains and is produced from fructose. But since it is so very new on the market, it wouldn’t be a choice I would be trying any time soon. I like the wait and see approach. Just wondering do you drink coffee? How does this taste in it? Also do you have a recommendation for creamer? I would love to change but with two small children and a job where I’m required to work long hours, coffee is my best friend! What are your thoughts on maple syrup? It’s cheaper than honey for me. I can get it locally, where it is minimally processed – if at all. Thanks for your information! It’s a huge help to those of us who haven’t yet researched everything, yet want to know safe sweeteners to start with! I’d rather use less sugar than any artificial or supposedly new “natural” sweetners. 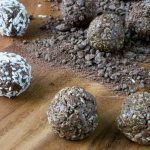 “This article lacks balance and as a result does not provide your readers with the “rest of the story” regarding the safety reviews of stevia. For example, the article fails to mention that The World Health Organization?s Joint FAO/WHO Expert Committee on Food Additives (JECFA) has conducted a thorough scientific review of the existing scientific data on steviol glycosides and concluded that they are safe for use in food and beverages. Most recently (April 2010), the European Food Safety Authority (EFSA) announced that studies showed no risk of toxicity from highly purified stevia sweeteners. Stevia has been used in Japan since 1970 and there have been no reports of toxicity or other side effects. Stevia has been used around the world with NO reports of stevia overdose or toxicity to humans in the past forty years. I used stevia back in the 90s could only get it from an herb shop. No problems here. I was glad when it made it into popular marketing. Are you sure it does not rise the insulin levels in the body? I am a bit skeptical about it. At the store it looks like a medicine! How it is possible that stevia is good…. or not bad at least. Stevia is the only thing I use because my husband has diabetes. It does not affect his blood sugar at all. Sweetleaf is the best. I get it at Kroger and Sprouts. At Kroger it is located where the organic items are. Not where regular sugar is located. I tried Splenda since that was on his list to use for diabetes. Splenda gave me headaches and body aches. That was enough proof for me to know it is NOT NATURAL and will not be included in our diet! I quit sugar, and refined foods just over 2 yrs. ago when my husband became diabetic and I have lost 42 lbs. I’ve never felt better! Thank you so much Debbie for sharing! As far as I know from diabetic websites it is approved to use. Stevia in liquid does look like medicine in a bottle but that is because it is a very concentrated liquid and a little goes far. 1 teaspoon of stevia is equal to a cup of sugar! Getting the right brand is the key, some have aftertastes that you may not like. We love it in our house. I will be sharing specifics tomorrow in a post to explain. Where do you buy your raw honey? I’ve found mine at my local Whole Foods Market and local farmers market. Great info and so glad I found your blog via pinterest! What about evaporated can juice crystals (used in Kashi Berry Crisp Cereal, one of my favorites!)? I don’t use evaporated cane juice. But if you are able to eat one serving of your cereal and not feel cravings from it and wanting more then you can probably handle that type of sugar. I can not. I was just wondering what your views are on ‘Perfect Sweet 100% natural xylitol?’ The package says it is naturally occuring and extracted from plants (birch tree and corn cobs) as well as naturally occuring in our bodies. Do you think it is a safe sugar free substitute? HI Gina, I have heard of using xylitol as a natural sweetener. It certainly is safe. I haven’t used it because I’ve also heard it can or may cause some digestive issues in some people, not all people but some. So since I already love stevia, I haven’t bothered to try it as I already have digestive issues with my stomach and would rather not. So do my children as well. But possibly in small amounts it is fine for some to consume it. Thanks for the information! I am going to attempt to do a sugar detox next month and it is very helpful/. I love your web site and your recipies. 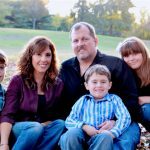 I was diabetic for years and was about 70 lbs overweight. I struggled with weight loss, constantly up and down but the old sweet tooth got me everytime. Finally I decided to have baratric bypass. I lost 70lbs, I look and feel much better and am diabetes free. However, I still think about sweets – but now I cannot eat very much and if you do – you will get very sick. I do plan to try several of your recipies; I like the idea of sweetening things natually. I use splenda now and I know it is not the best for you. Thank you so much! I found you through pinterest. welcome thank you for sharing! What are you saying is “junk” I am using? Are you referring to stevia as artificial? If that is the case you are mistaken. It is natural and not artificial in the least. Classifying stevia with splenda or any other artificial sweetener is inaccurate. Please do some research before jumping to conclusions. Sucanat and honey are also natural sweeteners and a lot less refined that using white table sugar. I think of Splenda (which I used exclusively for quite a while) as chlorinated sugar. I don’t drink the water from our pool, and filter all of my drinking and cooking water, so why would I want to eat chlorine. I’ve lost 160+ lbs. without surgery and now the hard part has really started. Keeping it off. Being a former insulin dependent Type 2 Diabetic, with high bloodpressure & cholesterol, and now off 4-5 medications, have no intention of going back. My philosophy has become keep it natural & simple. 414 lbs. that I used to carry around, with my walking consisting of looking for a place to sit. Now I start my day with a 4-5.5 mile walk plus a couple of more miles throughout the day, is so cool I’m not about to give them up. Bicycle rides of 10 – 35 miles seem like a dream come true for this 64 year old man. Thanks for the recipes, and research that I don’t have time to do myself. Congrats on your wonderful weight loss success but also for the harder part of maintaining that weight loss! Hi, I have a couple questions for you. I have used “Purvia” and “Truvia” for my coffee, cereal, etc. and have not minded any different taste. I have never baked or cooked with it though. 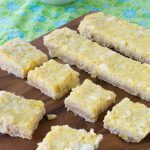 When you use stevia in place of sugar, do you have to add more of something to make up for the bulk that the sugar would have added to the recipe? I tsp is quite a bit different than 1 cup of something. Also, I noticed you said you are flour free as well. Do you include spelt? Just curious. We use spelt in place of flour for many baked items due to wheat allergies (not celiac) and love it, but I was curious if you had ever used it and what you thought. 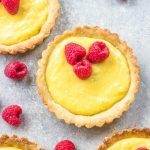 There definitely is a difference baking with stevia versus sugar and almost always each recipe is different from another when I bake, lots of trial and error happen for me and then I share/post the recipe. I seem to be having difficulty eating wheat lately so went gluten free even though I don’t have celiacs but haven’t yet tried spelt. I need to buy some and experiment. How is the texture as opposed to using a packaged gluten free flour which doesn’t every seem to rise well like when using a whole wheat flour? Well, I have to admit, I use the white spelt for most things, and maybe change 1/3 of it to whole spelt when making breads, pizza crust, cookies, etc. You substitute cup for cup, and either cut back just a tad on liquids, or add just a tad more flour than called for. You don’t have to knead as long, it rises very well with yeast, and actually makes a much better pie crust than regular flour. I love it, and don’t think there is any taste difference at all. We buy it bulk 25# at a time and keep it in the freezer. Hi Brenda! 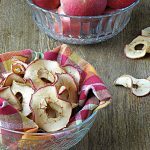 I recently came across your website and I was wondering – what’s your take on this new craze about monk fruit as a natural zero-calorie sweetener? I generally use stevia, but I don’t really enjoy the after-taste and have found monk fruit doesn’t have as much of an after taste…but I do have to use at least 2-3 times the amount to get the same level of sweetness I can get from one packet of stevia. So was just curious to see if you’re experimented with it and had any comments on whether it’s a decent sugar substitute or not. Thanks! I’ve not researched it enough yet to make a decision on it. I cook/bake with fresh canadian maple syrup, dextrose and coconut sugar. I also use whole wheat flour instead of white. What’s you’re take? Maple syrup effects me greatly in that even a little effects my blood sugar and makes me spike then crash just as I would if I were to ingest white table sugar. I use coconut sugar and honey for many of my family recipes and limit my consumption of those as well. 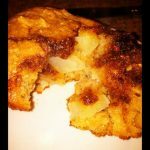 I still use whole wheat flour for my family but make more and more gluten free recipes for myself and they eat them too. I have recently been diagnosed with reactive hypoglycemia and my doctor wants me off ALL refined sugar. I have battled with my weight since high school (I’m now 58) but I’ve never wanted to give up the flour & sugar, but now I have to keep my carbs down and the sugar out. Do your recipes have the nutritional info on them? Yes nutrition info on all recipes. Just found you and am so happy I did! I decided to do sugar free February as I just felt the need to break my sugar addiction. Reading your article about Splenda explains why I was so addicted to sweets! I really just HAD to have sweets every day, and not sugar free ones either. Years ago I started using Splenda in my morning coffee, 2 packs to a cup. I guess that kick started my sugar cravings. I’m one week into February and have had no sugar of any kind, except what comes naturally in fruits and vegetables, and the couple of tablespoons of peanut butter I allow myself on six Triscuit crackers. I’ve given up kefir, yogurt and milk after learning lactose is sugar and started using unsweetened almond milk in my coffee. At the end of the month, I’ll start using Stevia. I’ve already trashed the Splenda! Thanks so much for helping folks learn about being sugar free. TOP 3 REFINED SUGAR-FREE SWEETENERS is the title of this blog post and it is incorrect and misleading. #1 misleading bit of information is that honey is a refined sugar-free sweetener. 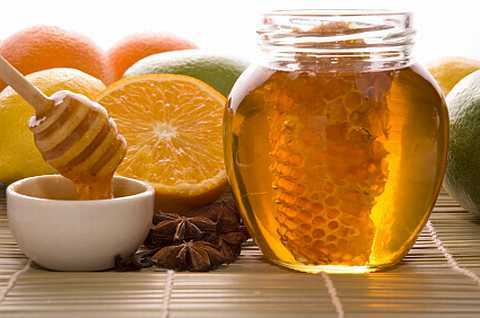 In fact, honey is a sugar, doesn’t matter if it’s raw or filtered, a spoonful of honey contains more calories than a tablespoon of sugar, and it’s certainly no sugar-free substitute for sugar. Honey is sugar. Thanks for the info., Brenda. I went sugar-free back in October for a month. Then birthday, Thanksgiving, Holidays came and even though I didn’t indulge like I normally would, I wanted to get back to it. Some friends had the same goal, so we started a 2018 Challenge. January is to be sugar-free (and my goal is to continue that for the entire year). We have a different goal each month (more water intake, eat more veggies, eat more protein–etc. ), in hopes by the end of that month it will have become a habit. We are a pretty healthy group, but know we can take it up to the next level! Glad I found your website. I’m going to post a link to it on our group FB page.